Blueprint for Revolution by Srdja Popovic. 282 pp. Scribe. I heard the author interviewed one Monday morning on BBC Radio 4’s Start the Week program. Surge Popovic sounded interesting and his book’s title, Blueprint for Revolution, made me go out and buy it. The book has a co-author: ‘and Matthew Miller.’ One gets the sense that this is Miller’s book after having some conversations with Popovic. The style of writing is conversational, anecdotal, and not too challenging. There’s not much theory or history but lots of chat about his work, realisations, lessons learnt, and whimsy comparisons. 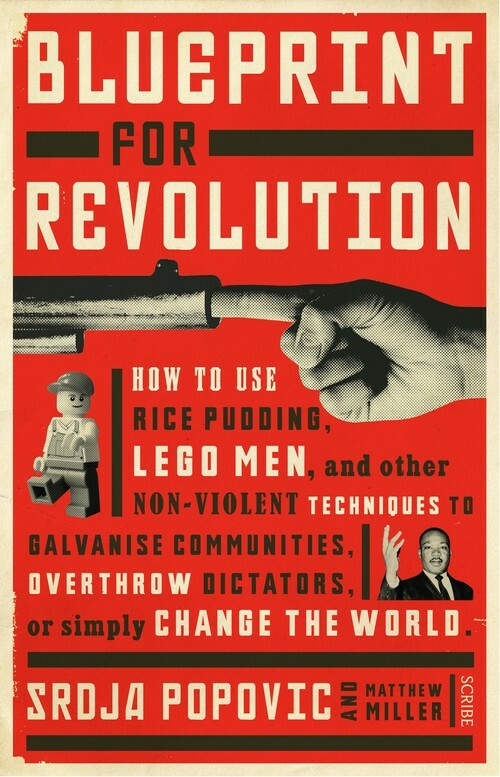 The books subtitle is how to use rice pudding, lego men, and other non-violent techniques to galvanize communities, over-throw dictators, or simply change the world. You get the picture. There’s a sentimentalism to it all that’s a bit too cloying to me. 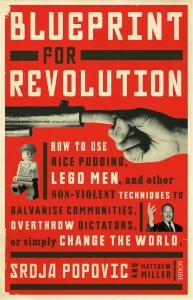 So, will this book make you a revolutionary? Probably not. But it will make you think about whether you could be a better revolutionary. Yes. And what’s so wrong with that?